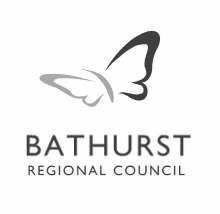 Beautifully designed and easy to use desktop software to Geographically Search, Locate & Display your spatial (GIS), metadata & textual file data. 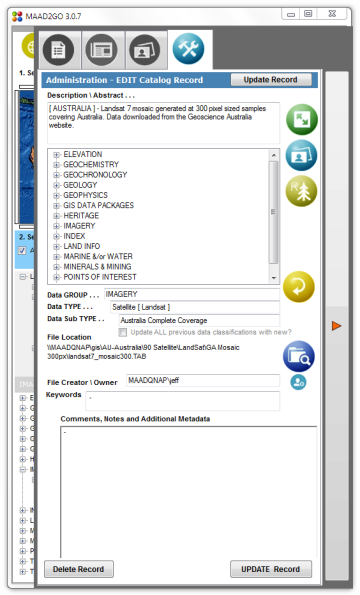 Easily build and manage centralised or individual geographical locatable libraries of your spatial data (GIS - MapInfo TAB, ESRI Shapefile, etc) and non-spatial textual files (photos, documents, etc). Realise the potential of individual person generated or organisational data by sharing your searchable catalog libraries with fellow co-workers to provide a single authoritative source of truth in a desktop environment. Beautifully designed, intuitive and very easy to use software to Geographically Organise: Maintain . Audit . Access & Display your spatial & textual information. 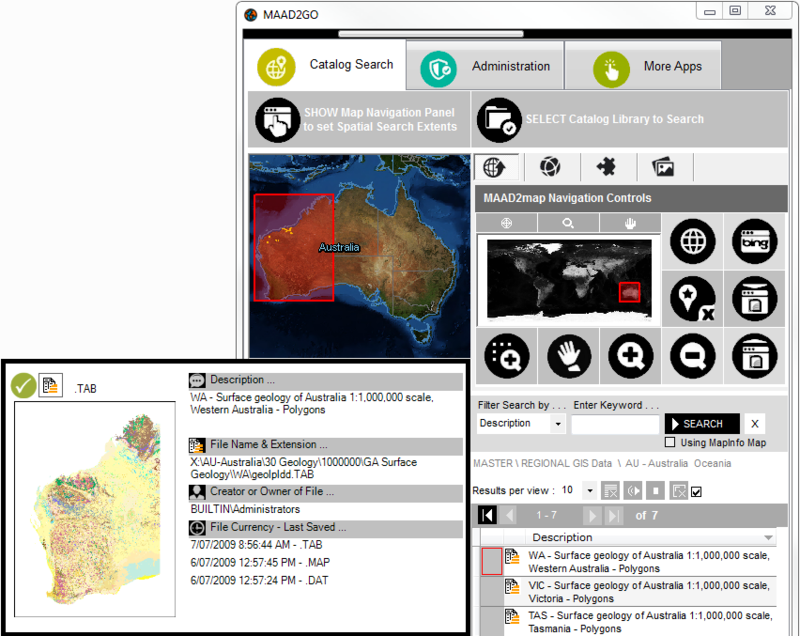 MAAD2GO provides all the functionality for organisations large or small, to easily build, manage and share geographical locatable libraries of their spatial (GIS) and\or non spatial data (photos, documents, etc). Easily search catalog libraries both geographically or by keywords for related data to discover, access, query, analyse and view. Drag'n drop functionality included to easily tag, capture and describe metadata information about files in your catalog libraries. A integrated GIS & map viewer is built into MAAD2GO that lets a non-GIS users to display and query many different spatial formats. Dynamically monitor changes to files and how they are linked to catalog libraries. Enter keyword(s), file names and Search for files in your folders or directories - anywhere. Geographically Search, Locate and Display. If you are tired of searching for data on your network/file server or storage device that you know is there but can't find it? ... OR ... If you don't have time to troll through a bottomless or confusing directory structure and just want to quickly find data over a geographical area? ... Or ... 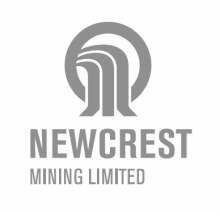 If you just want to organise your data storage and retrieval systems better? ... this MAAD2gO functionality will help you. Easily search geographically your catalog libraries for related data to access, view and query. > Multiple methods to define geographical search extents to ensure you find the right data from your selected location. > Store and share multiple libraries of information - internally or to remote sites. > Easily recognisable data classifications or titles as the descriptions are set by you. > Thumbnail previews of either the data layers or first page of textual documents or spreadsheets. > Geographically view the coverage of your data within the real world. > Links to more metadata for further data knowledge. > Filter search results by keywords. > Select and go - export listing or base data for future references. 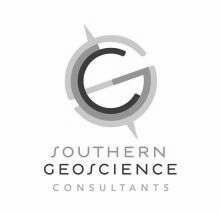 Let Everyone Display and Analyse GIS and Spatial Data. 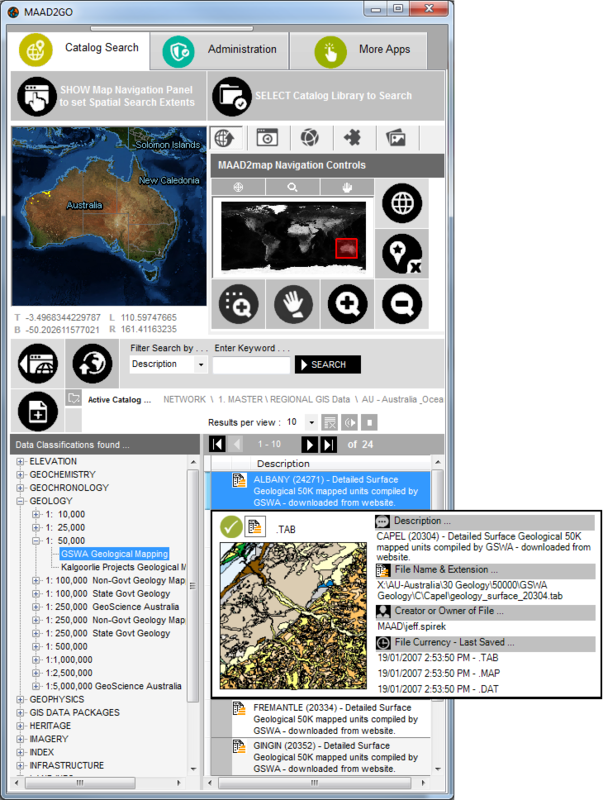 Easily search, locate, display and interrogate your GIS and CAD data together in ONE interface. 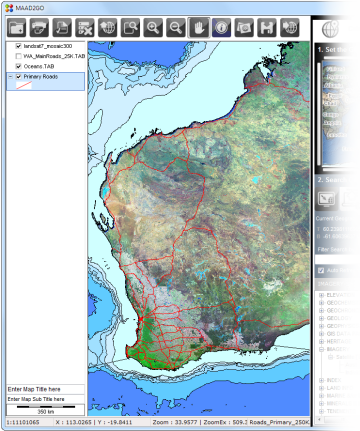 A GIS Viewer is integrated into MAAD2GO that lets a non-GIS user to display and query many different spatial formats. > Display MapInfo Tab, ESRI Shape, AutoCad DXF & DWG, Microsotation DGN, plus many more formats together at once. > Query internal GIS metadata information from displayable files. > Print data using company template. > Reproject base data into common coordinate systems or projections. > Export layer, convert and save. > Build, save and share map views. > Easily drag and drop catalog searched results into the map window for display. 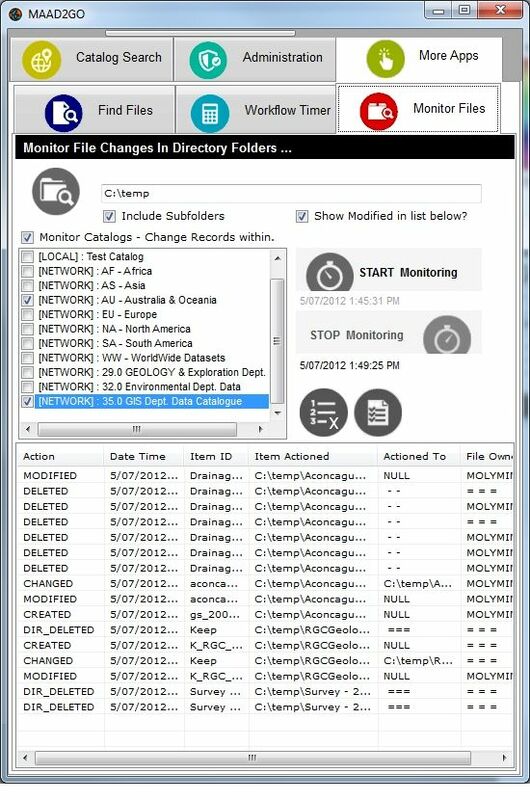 The Monitor Files application included in MAAD2GO monitors (in real time) the changes of all files and directories beneath a nominated directory tree structure. > Created â€“ A file or directory is created. > Deleted â€“ A file or directory is deleted. > Renamed â€“ A file or directory is renamed. > Changed â€“ One or more of the attributes (size, system attributes, last write time, last access time, or security attributes) is changed on a file or directory. Additionally, files that have been added to MAAD2GO Library Catalogs can have these changes reflected automatically if selected, which then provides the ability to maintain a complete listing of accessible files with no broken links. 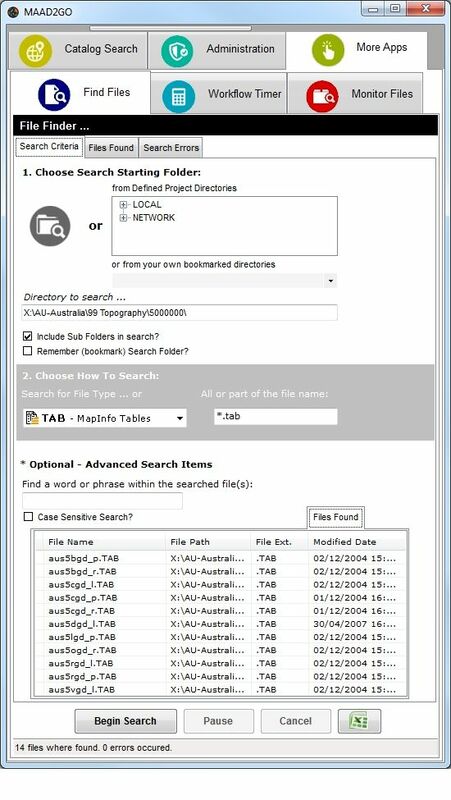 Search for files in your Directories - anywhere. This small and simple utility allows you to search for files based on various criteria including words or phrases inside files*. It's a brute-forced search, and it does not work with pre-indexed databases but from the file's storage location directly. As a result, search times can be variable, but it does deliver correct results every time. * Searching for words within files can significantly slow down the searching speed. Searching for words within files may not apply to every file types and formats - conditions apply. Configure and Administer MAAD2GO EASILY. 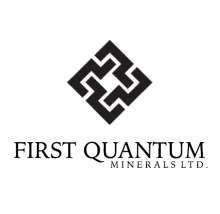 Everything you need to easily administer the program is contained within one easy to navigate location. > Create and administer project or working locatable areas. Your Windows logon is your identifier for accessing administration functions, therefore no additional usernames or passwords are required. 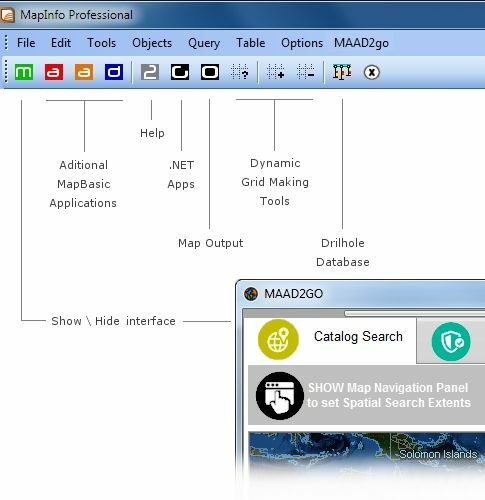 Added Bonus - MAAD2GO integrates nicely into the MapInfo Professional 32bit desktop working environment. MAAD2GO has been designed with the popular GIS software (MapInfo Professional*) in mind. Specially designed connectors exist that talk to MapBasic compiled scripts when MapInfo is operational. In addition, a seperate toolbar and menu that contains alot of specific functionality created for MapInfo can be loaded into the MapInfo Professional interface (called maadgis.mbx). This functionality has been built up over the years by MAAD Solutions in a program that used to be called MAADgis to make some of the tedious functionality of operating MapInfo easier and more intuitive. This MAADgis functionality has been included within the MAAD2gO software as an added bonus for MapInfo Professional users, however this functionality is provided on an as-supplied basis and is not supported. * MapInfo Professional is a trademark of Pitney Bowes Business Insight..
MAAD2GO is used by many organisations (large and small) for its rich functionality to access and display spatial information. 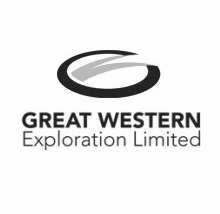 Drop us a line and see if we can help. Thanks for dropping us a line! Someone from MAAD2GO will contact you shortly and attend to your query. MAAD2gO is licenced to an organisation or individual on a per seat basis. 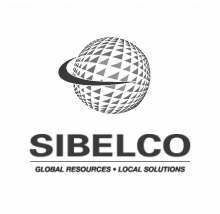 Volume licencing discounts apply, please contact us for a quote. Copyright Â© MAAD Solutions Pty Ltd . All rights reserved. Reproduction of material from any pages without written permission is prohibited.